Al Castignetti: "We've had initiatives on SSI in the past that have lived and died with the executive behind them." SAN FRANCISCO -- On April 1, Nissan Division will launch a national brand fund to help it improve customer satisfaction with the sales experience. Nissan has been on a campaign to improve how customers feel about its purchase process. The brand scored last in the most recent Sales Satisfaction Index -- J.D. Power and Associates’ industry barometer of consumer impressions of the dealership experience. 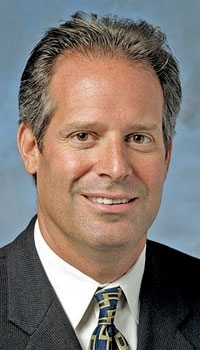 Al Castignetti, Nissan Division vice president for sales and marketing, told dealers at their make meeting here that the standing was “unacceptable,” and vowed that the new brand fund will correct it. The fund will use factory dollars to directly pay dealers who improve their performance on internal scores. Some key improvement issues are simple, he told dealers. Among them: reducing the time to deliver a purchased vehicle to a waiting customer and making sure the vehicle is clean and undamaged. Nissan and its dealers began setting up the campaign in October, deciding what issues will be measured and how rewards will be paid. Castignetti told dealers their improvement rewards will be paid quarterly. Don Forman, owner of United Nissan in Las Vegas and chairman of the Nissan National Dealer Advisory Board, said the brand fund will help the franchise improve its performance as a whole.